As the truth about horrendous vaccine-damage to babies emerges and spreads, doctors need advice on how to avoid blame. So this article is offered as a public service to the medical profession. Dear Doctor, your best defense is: “I’m practicing proper medicine.” Always remember that. Don’t wobble. Don’t explain. Just keep saying it. It works. After all, you have decades of propaganda behind you. Make those lies operate for you. Stand on them. It’s your best strategy. In your heart of hearts, you know you’re damaging the brains and nervous systems of many babies. But don’t give in. Just keep vaccinating them. Just keep the basic mantra going: “I’m practicing proper medicine.” Under no circumstances should you let conscience be your guide. That would put you in a world of trouble. It’s useful, when necessary, when a baby is, say, on life support in intensive care after you vaccinated him/her, to accuse the parents. You assert the child is a victim of Shaken Baby Syndrome—and the unconscionable parents did the shaking. This puts them on the defensive, and potentially takes the case into the sinister arena of Child Protective Services, the agency that can remove a child from the home and place it in foster care as a ward of the State. The parents, who are already terrified because of what you did (vaccination), will be thrown into an even deeper vortex of fear. They will be less likely to speak out and blame you. Use your power. Keep in mind that the parents can’t sue you or the vaccine manufacturer. Know you’re safe. 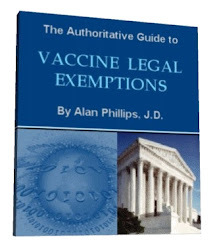 The law mandates the only option: they go to the federal vaccine court, where they plead for compensation. That labyrinthine process could take years, during which time the parents will probably forget all about you. Feel safe and secure, because you are. Don’t get rattled. Move on. If the word—you know the word—“autism” comes up, don’t give in to worry or fear. The Centers for Disease Control, essentially a PR front for the vaccine industry, has you well covered. 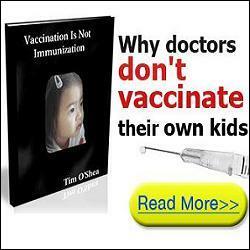 They’ve slanted and cooked years and years of studies to show one and all that vaccines can’t cause autism. It’s a slam-dunk. You’re protected. Don’t argue. Don’t debate. Let the CDC back you up. Do you see where I’m going, dear Doctor? You’re in a sweet spot. You’re not in trouble, so don’t make trouble. Bite your tongue if you have to, but don’t debate. Just keep vaccinating. Yes, you’re destroying many lives, but no one can prove it, because the CDC and other agencies control the meaning of “science.” If they say the Earth revolves around Mars, that’s science. The only thing that can sink you is your own conscience. But listen. If your medical training has taught you anything, it’s that regret and remorse have no role in the practice of medicine. Compassion is best achieved through dispassion. Understand? You can’t wring your hands and gnash your teeth about unfortunate outcomes. If you did, you’d be paralyzed. “Unfortunate outcome” equals “somebody else did it.” That’s your guide. You didn’t do it. But simple assertion isn’t enough. You need to cultivate an attitude of easy arrogance. You’re standing on top of the mountain. Pretend you know everything there is to know. Learn how to hone that act. You’re the great humanitarian. You’re the tireless champion of the people. You’re the One. The babies you vaccinate have poison in their veins. You have ice in yours. And if necessary, if you have trouble sleeping at night, remind yourself that doctors who step out from under the umbrella of protection and confess their sins are doomed. You’ll be assailed and attacked by your own. You’ll be delisted and excommunicated from the circle. You’ll lose your income and even your license. You’ll be called crazy. You’ll suddenly find yourself in the camp of conspiracy theorists and other assorted fools. They’ll taint you even further. Your family will disown you. If you think you know how all this would feel, you’re deluding yourself. You have no clue. Your oath of “first, do no harm,” is conditional. Do no harm, unless that ideal turns you into a non-vaccinator. Or a partial vaccinator. Or a vaccinator who wants honest research into the effects of vaccines. “First, do no harm to yourself and your reputation and standing” is the actual oath. Learn it, absorb it, live by it. Take two dollops of medical mind-control and call yourself in the morning, and check your head. Are you onboard with the program? If you’ve ever worked in an ER, you know life can be brutal and ruthless. Apply that lesson to your own professional survival. If it comes down to a choice between damaging the brains of babies and sacrificing your own reputation in the medical community, make the ruthless decision. If not happy, at least satisfied. Someone loses his/her life; you keep yours. You’re in a business that’s all about what works. So this is that principle, applied on a different level you may not have looked at it before. I’m showing it to you.